While a growing number of small and midsized businesses are making use of server virtualisation, the trend is not uniform between companies of different sizes and regions. Vanson Bourne has explored the movement in a handful of European countries through a survey commissioned by Dell and Intel, which shows that a lot of companies believe themselves too small to consider virtualisation. Optimise Your Infrastructure: A European Report on Virtualisation for Small Businesses, shows that 41% of small firms were using server virtualisation; but only 15% of those with fewer than 25 employers do so and less than a third of the total surveyed said they would consider it in the future. The UK was in line with the total of 41% using virtualisation, a lower figure than for Belgium, France and the Netherlands and higher than for Switzerland only. But it also had more companies considering virtualisation, at about a third, and more UK firms considered the benefits to be significant than in any other country. They considered the benefits to be faster recovery and cheap back-up and recovery. 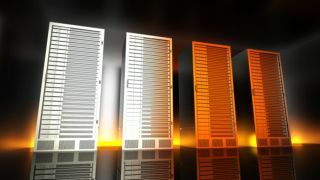 There was less enthusiasm among companies with fewer than 25 employees, who often thought they were too small to benefit from server virtualisation. They were also put off by the level of investment required, but there was wide recognition of the benefits of faster and cheaper back-up and recovery. Companies with 25-100 employees were more aware of the benefits, with more than half saying they agreed virtualisation could improve back-up, reduce the total cost of ownership and simplify maintenance without affecting computing power. They also identified obstacles, notably having a single point of failure and the necessary investment. It is also notable that the size of the business had more influence on the differences in responses than which country it was located in. Similar trend emerged from questions on storage virtualisation. This reflects that fact that as company grows and produces increasing amounts of data, a storage area network can help to simplify its management and can be scaled up or down. The report says concludes that, while smaller firms feel they may not have the server count to justify virtualisation, it can provide clear benefits – especially as a step towards cloud computing. By virtualising the applications hosted in a physical environment, and housing them in virtual machines, small businesses can take advantage of the flexibility that the cloud offers. This can create a more agile and optimised environment and give them a competitive edge.